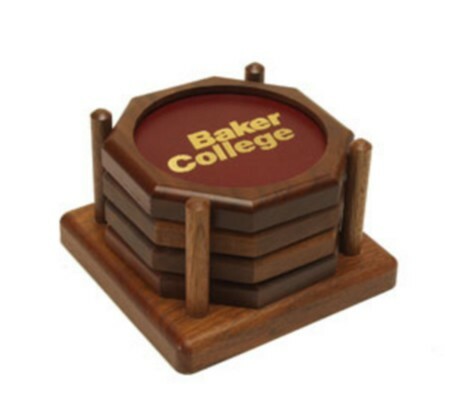 Finely grained American walnut or classic oak finish trays hold four wooden coasters with top grain leather inserts. Felt protectors on the bottom of each coaster and base. Imprint Area Size: 2 7/8"